What do Nicolas Cage, Joseph Gordon-Levitt, and Shailene Woodley all have in common? Edward Snowden. No, that wasn't the world's stupidest riddle; it's an actual fact. On Monday, it was announced that Nicolas Cage will be joining the cast of Snowden , an Oliver Stone directed biopic described as "CIA employee Edward Snowden leaks thousands of classified documents to the press," and starring Gordon-Levitt, Woodley, Zachary Quinto, Melissa Leo, and many, many more. Although Gordon-Levitt is the one who will portray the controversial figure who was recently the subject of a documentary, CitizenFour, that won an Oscar, Cage also has an important role to play in the international thriller. 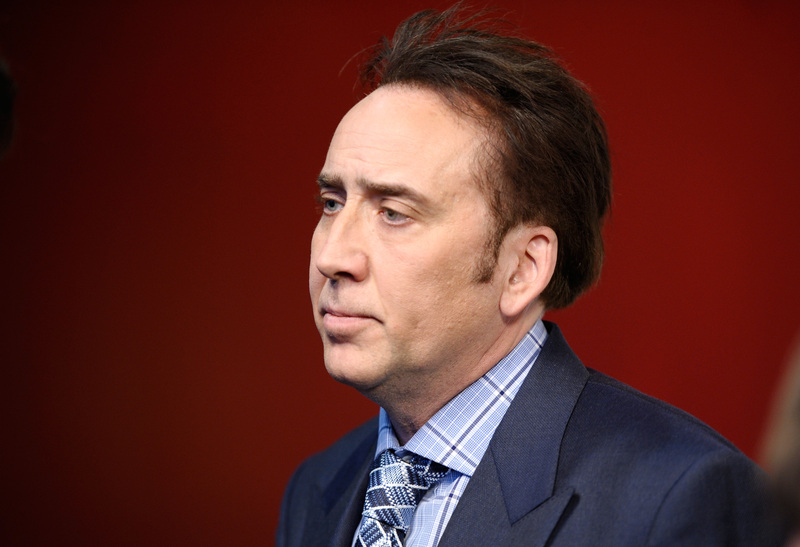 According to The Wrap, Cage will be playing the role of "a former U.S. Intelligence official," but no further details about his role were offered. Still, that small sentence, and the fact that it's Nicolas Cage, point to some sort of mentorship or antagonist role that could have Cage carrying this movie just as much as Gordon-Levitt or Woodley. After all, one does not simply cast an actor like Cage for a one or two scene role. However, until we get an actual name for his character, it can be hard to figure out exactly how much of the Snowden story he will be exerting influence over. Still, the combination of Gordon-Levitt, Woodley, and now Cage, who has worked with director Stone before on World Trade Center, is guaranteed to be a good one. World Trade Center is a 2006 film based around a premise described as, "Two Port Authority police officers become trapped under the rubble of the World Trade Center." While it wasn't a huge success, the film received positive reviews from critics and featured a strong performance from Cage about a very serious subject. No doubt, with Stone at the helm, a similar performance will be drawn from Cage for Snowden — and that's truly something to look forward to. Snowden is already in production, and is set to be released on December 25. With such a star-studded cast, you should probably start making plans from now to make sure you buy a ticket for the biopic of the infamous former CIA employee. And, considering the success of CitizenFour, there's a chance we might seeing Snowden at the 2016 Oscars.